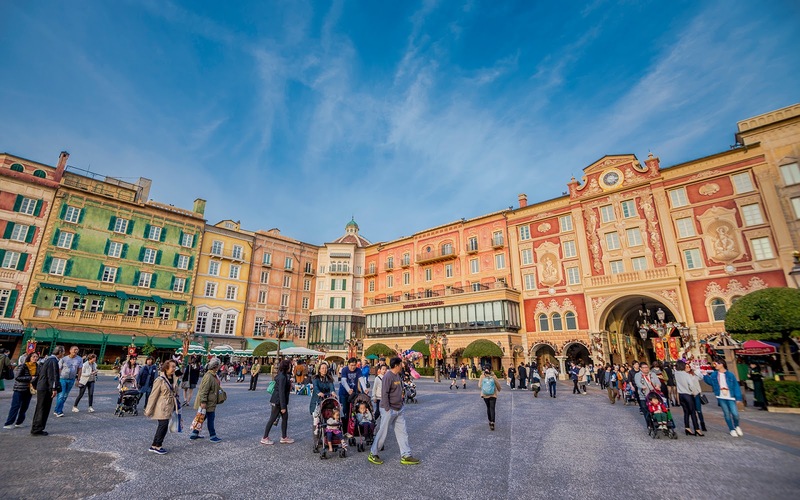 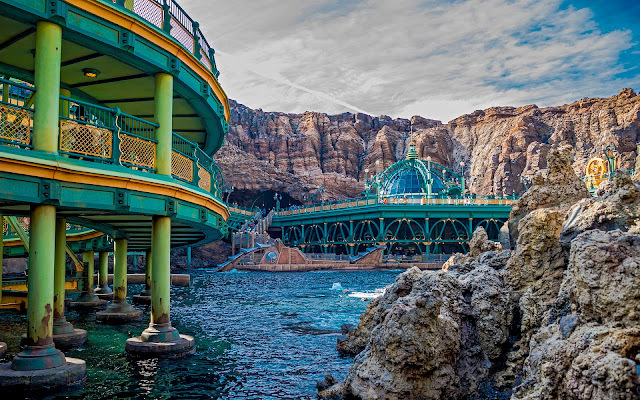 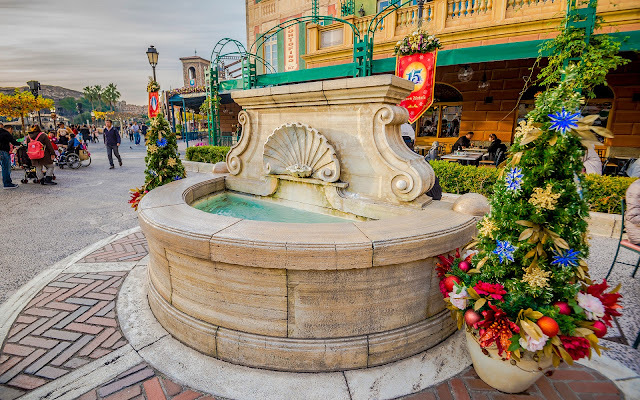 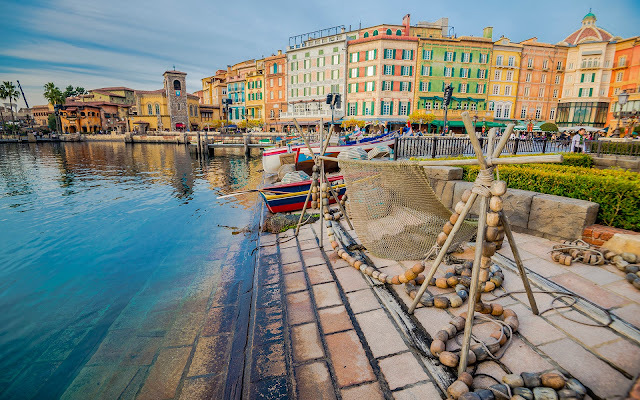 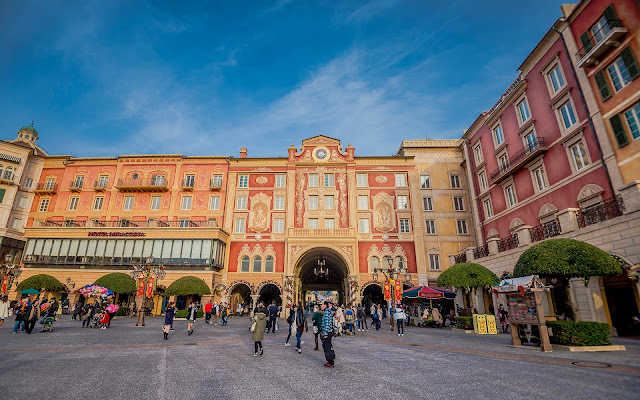 The entrance of Tokyo Disney Sea takes guests under the Mira Costa Hotel and into a large, open plaza flanked by architecture in the style of the Italian Riviera. 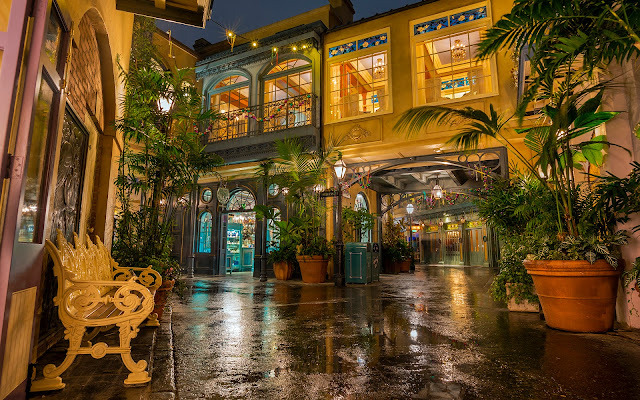 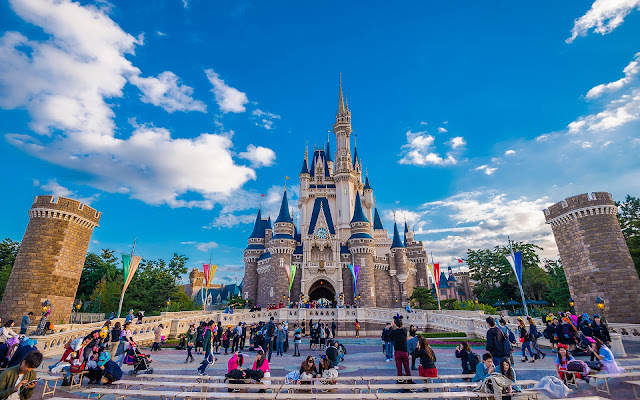 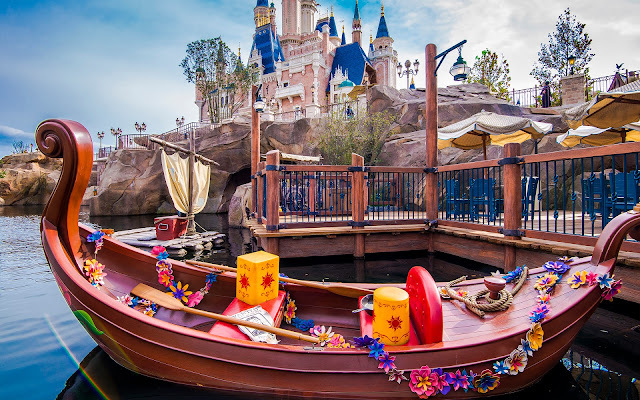 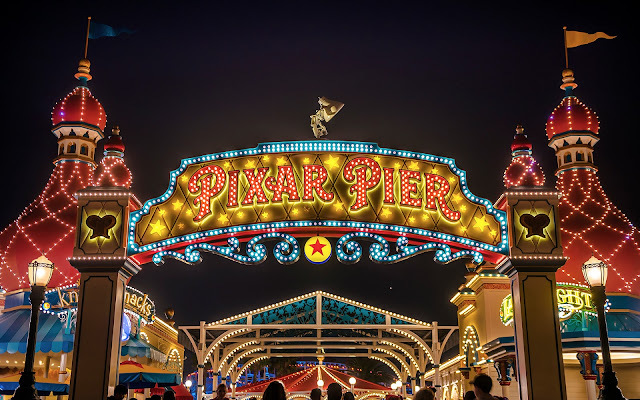 The colorful and bold facades, classical windows, ornate trim, and vibrant storefronts impart a great sense of energy and serve as an amazing introductory backdrop to a most amazing and extraordinarily themed park. 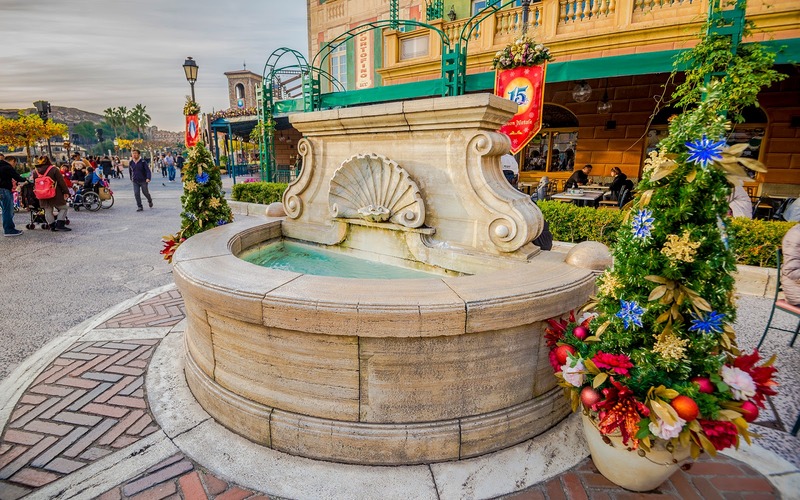 Although the unfolding space can seem grand, there are also lovely details posted about, from fountains to shrubbery to the waterfront wharf, all designed to work together to create a hyper-realistic ambiance that's charming and romantic. 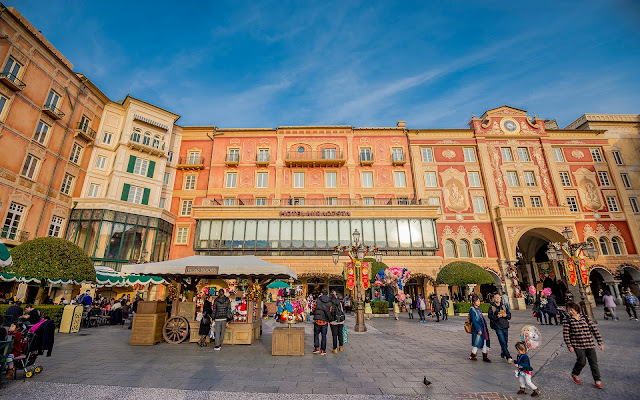 It's not hard to fall in love with such an environment, and for many guests, the spell of this Portofino enchantment draws them immediately into the captivation of Tokyo's Sea of Dreams.